Cash Bar, Only ages 19 and over admitted. 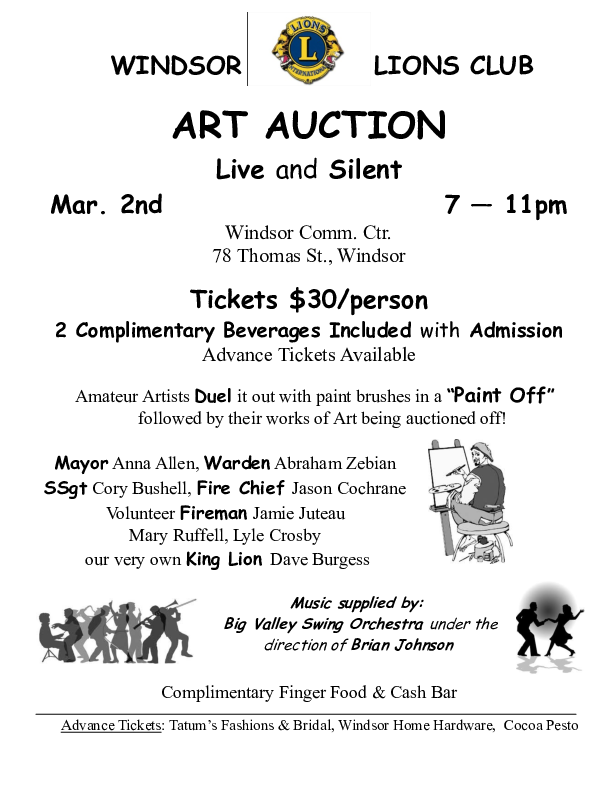 Windsor's Mayor, Warden and Staff Sergeant, along with 5 others will "Duel" it out in a "Paint Off" after which time their paintings will be auctioned off. 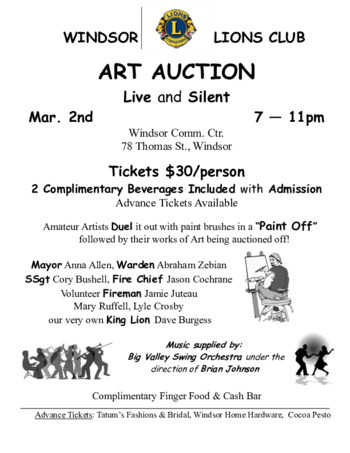 The Big Valley Swing Orchestra will play for listening and/or dancing.